West Midland Safari Park Ltd. (“We”) are committed to protecting and respecting your privacy. For the purpose of the Data Protection Act 1998 (the Act), the data controller is West Midland Safari Park Ltd, Spring Grove, Bewdley, Worcestershire, DY12 1LF. Contact and general information that you provide by filling in an online enquiry or feedback forms on our websites. Contact and address details when you purchase a product in order to confirm the transaction, send you a product and/or update you with details of your booking, or in the unlikely event that we need to contact you urgently about your booking. Certain products that we oﬀer may require more detailed data to be collected and processed, for example; Special Events, VIP Experiences and Corporate bookings. This may include information such as additional names, ages and dietary arrangements. Marketing and Communications data, such as your name, address and email, if you choose to opt-in to receive marketing material from us. Details of your visits to our websites including, but not limited to; traﬃc data, IP address, weblogs and other communication data. We do not intend to collect information from or market to children under the age of 16 years. If you sign up to receive marketing materials from us we will proceed on the basis that you are over 16. Children under the age of 13 years will not be able to register for any activities, trails or competitions, without consent from an adult who holds parental responsibility. That person will then be designated the contact for communication of any information, updates and/or prizes. We may collect information about your computer, including where available your IP address, operating system and browser type, for system administration and to report aggregate information to our marketing department. This is statistical data about your browsing actions and patterns, and does not identify any individual. Your IP address may also be used to diagnose problems with our server, monitor visitor traﬃc patterns and site usage to help us develop and improve our site further. We use ‘cookies’ to enhance your experience on our websites. Cookies are small data files that are sent to your browser and stored temporarily on your computer to help retain the information that you have entered whilst you browse our websites. A cookie will typically contain the name of the domain from which the cookie has come and the ‘lifetime’ of the cookie. Cookies do not give us your personal information, they provide us with non-personal information such as remembering your browser settings, what types of software you are using etc. so that we can work with the websites to make them as easy to use as possible for you and all our visitors. The information you provide to us is stored on our secure servers. All payment transactions will be encrypted using SSL technology and are handled by a certified 3rd Party. Where we have given you (or where you have chosen) a password which enables you to access certain parts of our site, you are responsible for keeping this password confidential. We ask you not to share a password with anyone. We will never ask you for that password. To ensure that content from our websites is presented in the most effective manner for you and for your computer. If you are active on Social Media you may also see our adverts on your Social Media channels. We may make use of existing profiling tools provided by Social Media companies to try and ensure you are seeing adverts from us that may be of interest to you. We may also utilise the existing data we hold on you in combination with these existing social media tools to make our marketing more targeted. This can include passing certain data onto Social Media companies (they cannot pass this data onto any other third parties or use this to contact you in any way) who are based outside the European Economic Area (EEA). Countries outside of the European Economic Area (EEA) do not always oﬀer the same levels of protection with your personal data, so European law has restricted transfers of personal data outside of the EEA unless the transfer meets certain criteria. We work with multiple ticketing partners who oﬀer our products and services at reduced prices. If you are purchasing one of our products using a ticketing or promotional partner in order to provide these services, securely fulfil transactions and provide you with relevant booking communications we may need to share your data with the relevant partner. Our ticketing partners are not permitted to send you marketing material unless you give them explicit consent to do so and we only allow our partners to handle your data when they conform to appropriate data protection and security controls. When a situation has arisen that could directly impact the delivery of a booked product or experience. For instance, if weather meant we had to close West Midland Safari Park, we would endeavour to inform you of this via SMS, email or a telephone call. This contact data would be extracted from our e-ticketing system; such information is recorded at point of purchase as it’s necessary for the fulfilment of all bookings and transactions. If you are an Annual Pass holder and have therefore entered into a contract with us for a set period. We may contact you with advice on how to make the most of your pass and membership and update you when your pass is due for renewal. If West Midland Safari Park Ltd. or substantially all of its assets are acquired by a third party, in which case personal data held by it about its customers will be one of the transferred assets. We will not sell your data or share personal data with third party organisations for marketing purposes, but we do use third parties to outsource functions when we do not have the in-house capacity or capability required, such as the use of a mailing house for mailings, fulfilment of an electronic booking or service and analytical services that enable us to target our communications to you more eﬀectively. In such cases, we will only use reputable and well-vetted firms and have contracts and processes in place that ensure the safe and confidential processing of personal data at all times. We may also disclose personal information where required or otherwise permitted by law. We require all third parties to whom we transfer your data to respect the security of your personal data and to treat it in accordance with the law. We only allow such third parties to process your personal data for specified purposes on our behalf and in accordance with our instructions. In some circumstances you can ask us to delete your data: see ‘your rights’ for further information. You have the right to ask us not to process your personal data for marketing purposes. We will inform you (before collecting your data) if we intend to use your data for such purposes. You can exercise your right to prevent such processing by checking certain boxes on the forms we use to collect your data. You can also exercise the right at any time by contacting us at privacy@wmsp.co.uk. West Midland Safari Park. Bewdley, Worcs, DY12 1LF. General information about West Midland Safari Park along with an assortment of logos can be found in our Press Pack. Click on the link to download the Summer Press Pack (information valid until 8th November 2019). Enter your details below to sign up and receive our latest press releases via email. You can unsubscribe from this service at any time via the unsubscribe link on our press release emails. 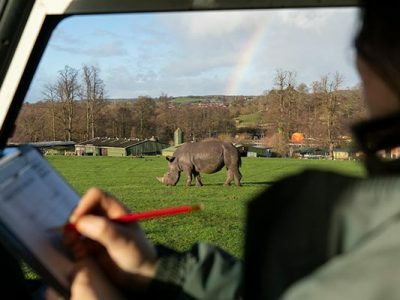 Animal keepers at West Midland Safari Park have had a busy start to the year by undertaking the annual animal stock take. Every creature has to be counted, from the crash of huge white rhinos, down to the colony of tiny leaf cutter ants. There will be some extra heads to count this year too, following the success of animal births in 2018. These include Granville, the baby southern white rhino, Gerald the Rothschild’s giraffe and two Grévy’s zebra foals – Grace and Gamba. 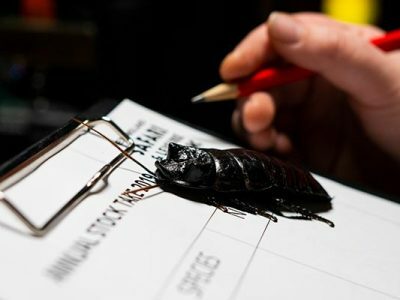 Angela Potter, Head of Wildlife said, “As part of our zoo licensing requirements, from 1 January, we complete an audit and produce a report for our Local Authority, so keepers have been out and about counting all of our animals, from elephants down to ants! The total number of animals is yet to be confirmed, but as there are over 120 different species at the Park, the figure is likely to be over 800 animals. 32 species are found on the Park’s safari drive-through, whilst the remaining 88 species can be found in the African Village, Discovery Trail and Safari Academy. West Midland Safari Park is currently open on weekends only for Wild Winter Safari until 10 Feb 2019. The Park opens daily from 16 Feb 2019. Admission is £20.00 for adults, £15.00 for children aged 3-15 years and £18.00 for concessions. Admission includes a free return ticket. The Adventure Theme Park is closed during the winter season.